What’s Poppin’ Tonight! 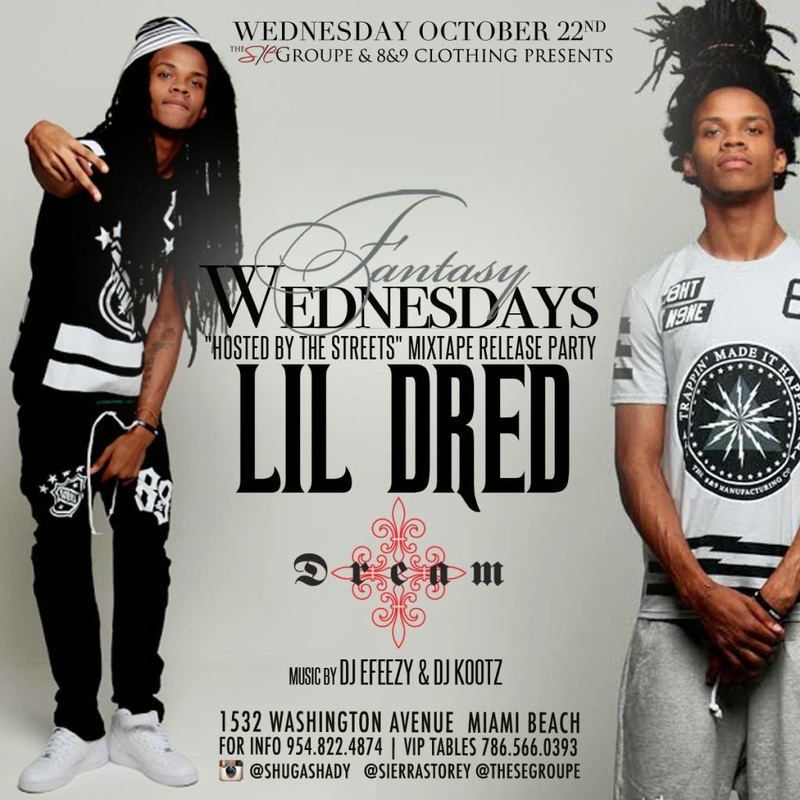 Fantasy Wednesdays at Dream Nightclub "The Only Place To Be Wednesday Nights in Miami" ~ Phresh Hott New! What’s Poppin’ Tonight! Fantasy Wednesdays at Dream Nightclub "The Only Place To Be Wednesday Nights in Miami"
The S/E Groupe presents Fantasy Wednesdays The Only Place To Be On Wednesday Nights In Miami! 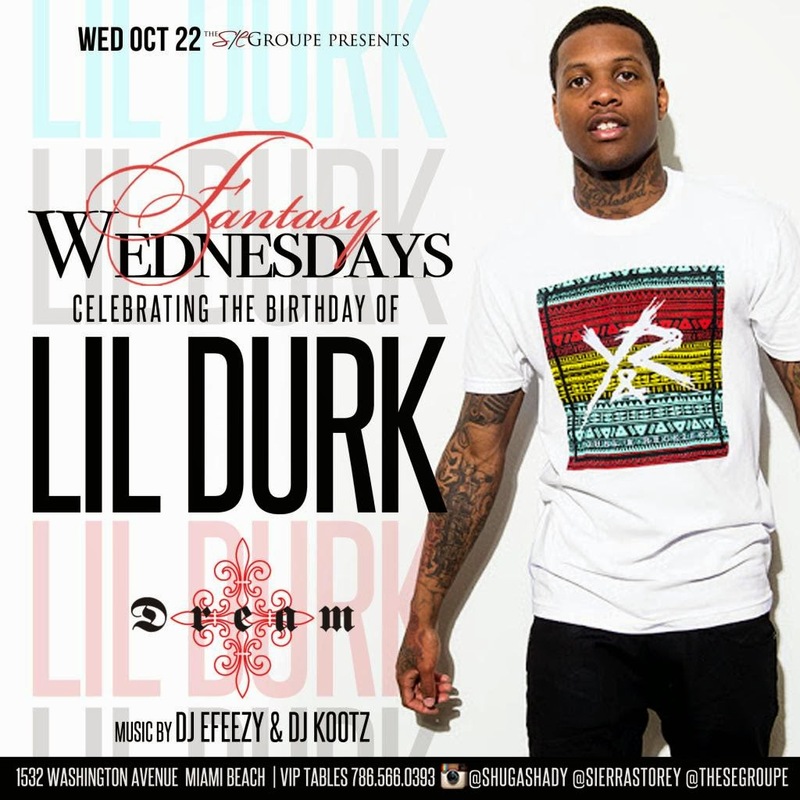 Fantasy Wednesdays celebrating the Birthday of Lil Durk + Lil Dred "The Streets" Mixtape Release Party + Signing Party for DJ Nasty & South Beaches Sexiest Video Vixens & More at Dream Nightclub. Plus + More Fun! Music by DJ E-Feezy | DJ Kootz | + More! ADD @Shugashady @SierraStorey on Instagram! VIP Packages available for Anniversaries, Birthdays, Bachelor/Bachelorette Parties!